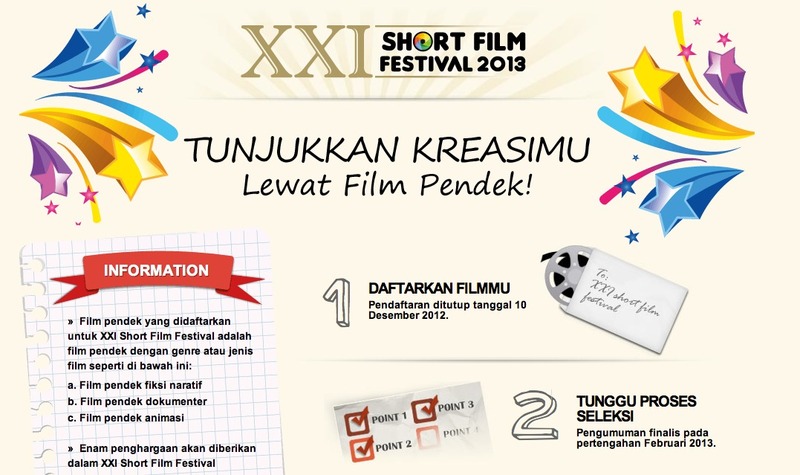 I was browsing through the internet, and then found this XXI Short Film Festival. This is a great chance for you! You just need to submit your film (deadline Dec 10th 2012), and if you pass the selection stage, all the finalists’ films will be played in the XXI theatres! The winners will be announced on the last day of the festival in March 2013. Woohoo! FYI, me and my classmates are still looking for the right short film for each of us, for this film scoring final project. This entry was posted in Film Scoring and tagged cinema, Festivals, film, film scoring, filmmakers, Short, short film, short film festival. Bookmark the permalink.